With hackers becoming increasingly sophisticated, it’s a weekly occurrence for us to hear about some site or the other that’s been compromised. Seems you can’t go online and set up an account without some risk any more, though perhaps that’s always been part of the online world, we’re just hearing more about it now. Either way, when Twitter sends out an email telling people that there was an issue (although, to be fair, it apparently was some sort of programming glitch that caused passwords to be exposed, though there’s no proof they were actually taken) it’s definitely time to change your darn password. 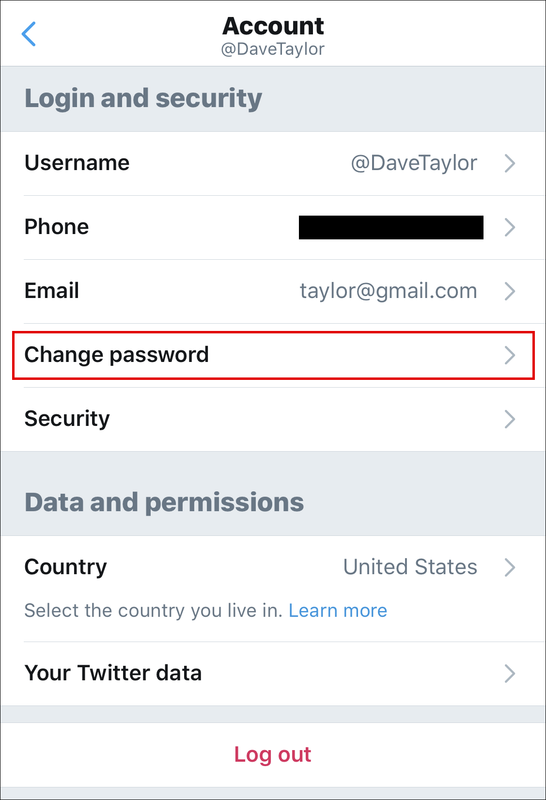 But more than just change your password, you need to pick a good password too, and you should also definitely be enabling 2-step verification on Twitter too. Do those and you’ll be safer next time that something untoward transpires. Really they’re saying that if you use the same password on multiple services (you don’t, do you?) that you should also change it on the other services too. But let’s just focus on Twitter for now. Again, make sure you use a long, complicated password with upper and lower case letters, a digit or two and at least one punctuation mark. Not sure what to use? Try taking the first letter of each word from a sentence you like. Perhaps May the Force be with you! which could turn into MtFbwy! Now just add a digit or two and stretch it out a bit and you’re on your way: Mayt4bwYOU! 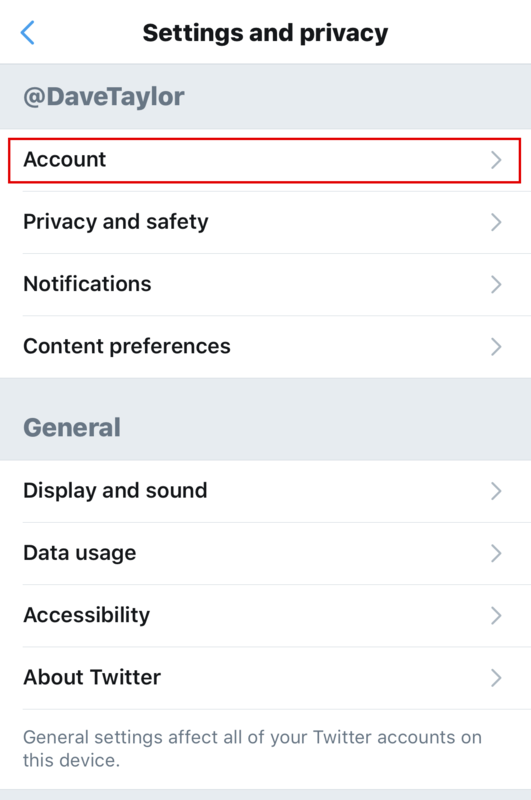 As highlighted, choose “Account” to proceed. That’s all there is. 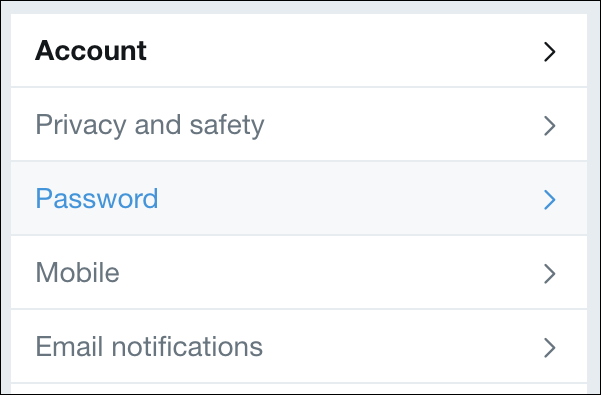 Now remember to choose a good, complicated password and then while you’re changing your settings, do enable 2-step verification. 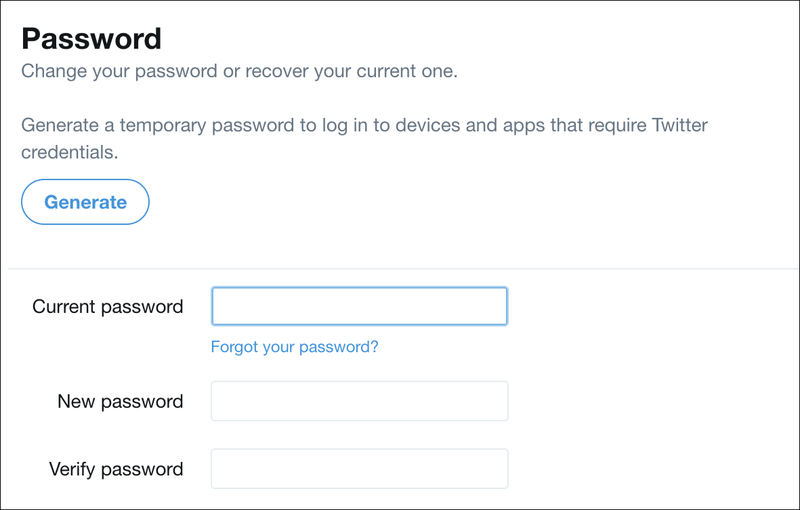 With that enabled, having your password won’t be enough to log in from a new system, so even if they have another breach you’ll be protected. 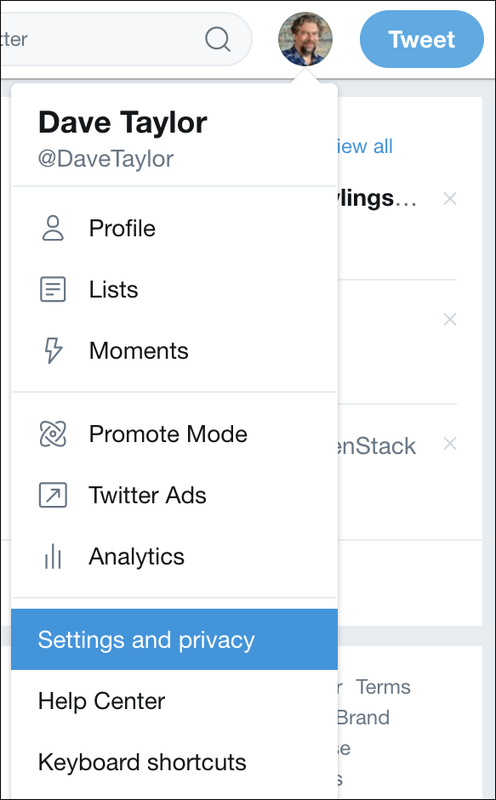 Pro Tip: While we’re talking about Twitter, please do follow me on Twitter as @DaveTaylor and check our extensive Twitter help area here on the site too. Why is twitter on my iPad specifying that I need to delete my account in order to logout. iOS on the iPhone does not stipulate this. I have changed my password logged out and relogged in to twitter on my iMac and iPhone without the delete account stipulation.